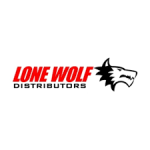 Lone Wolf Distributors specializes in high performance firearm parts, offering significant upgrades over OEM equipment for serious and competitive shooters and hobbyists. Many of the parts that they provide are manufactured in-house in the United States and utilize only the highest quality construction materials, including Damascus steel. Lone Wolf Distributors also offers customization and engrave meant services on many of the firearm accessories they provide. Customers can sign up for a free email newsletter to receive a 15% off coupon, and every order of at least $100 or more ships free of charge. Free custom engraving, but exclusions may apply.